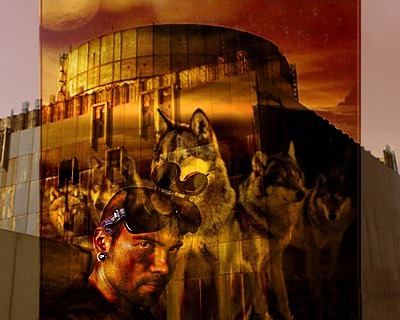 Copyright: Europa’s Icewolf 2013 ~ All Rights Reserved. Liquid night moved fluidly in its telepathic touch reaching out with the diversity of a thousand worlds – worlds that lay far beyond the stars – probing, touching in a subtle quest for the tundra of secrets beneath the carefully layered protection of dark and light, blending in the alien moon touch. Dark shadows raced across the darkened tundra of the exclusion zone plains skating across a rock strewn terrain. 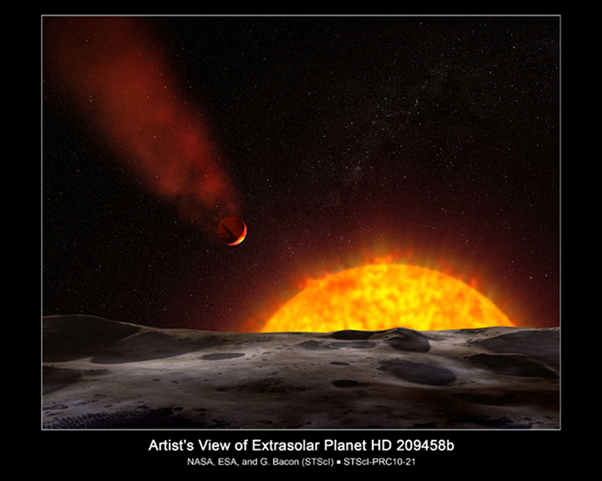 Twin satellites – huge and radiant, hung silently in the star scope beyond; their shivering iridescence dancing and playing in an alien night, casting slivers of satellite suns chasing ghost-like across a cratered planetscape. Shimmering in the diamond-kissed emissions of the zone’s twin satellites, and bathed in an other-worldly glow, the devastated N-reactor plant structure stood sentinel to the visiting Sirian she-wolf flitting wraith-like amongst the toxic, stellar structures, elongated shadows sliding smoothly into the soundless tranquillity of the void. Yelena was alone other than the ever present zone wolves flickering in and out of eerie rock formations beyond the irradiated deadlands. Alone, whilst the light of a thousand worlds burned down in remote, icy indifference-brilliant and piercing in a cool, exotic night. And a glittering myriad of new constellations teased an unearthly light into pirouetting effortlessly across an unfamiliar planetscape. 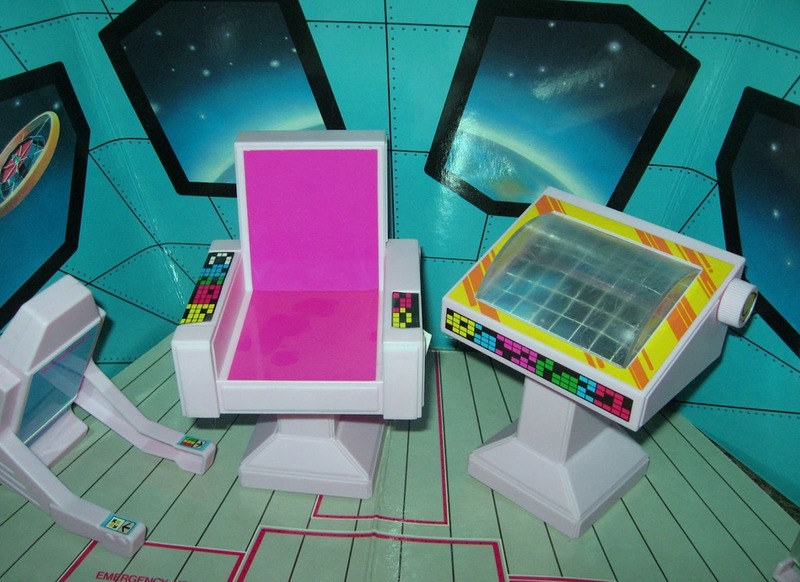 The radiation count was high here. Yelena could taste it in the air, her coat and skin prickly with its unseen presence, strands of alien wolf hair crackling in the radioactivity, darkening to smoke black in the monochromatic light of the zone’s twin satellites, the collar-mounted Geiger counter chirping frantically. Mystical shrouded structures rose up like vaguely menacing spectres in the dark regions of the starry arrays that were her world. She was beautiful. 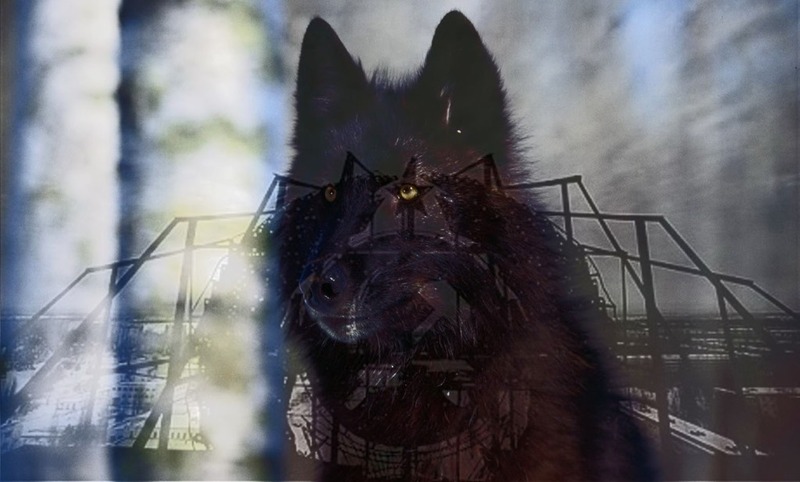 Yet it was a barren beauty, remote and forsaken in this unnatural radio-active Land of Wolves. Night in an alien exclusion zone. Ears flicking, nose raised to catch the untold scents of the mysteries of the zone, Yelena strained to hear above and beyond the absolute silence infusing the shivering planetscape, timeless and disturbingly bereft of all sound other than the empty stirring of the wind. The beating heart of eternity cool and changeless and the ominous chitter of the Geiger counter, a constant reminder that all was far from well in this contaminated land. Night shone down on the foreboding sentinel of the toxic reactor skeletising the gaunt structures and embracing the cool, concrete bases. 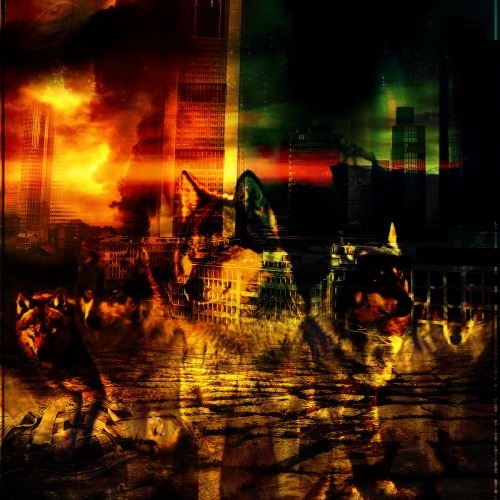 Sudden spectral light slid uneasily through the exposed reactor cores throwing sinister and outlandish shadows chasing across insubstantial stadia into the critically contaminated lands that lay beyond. 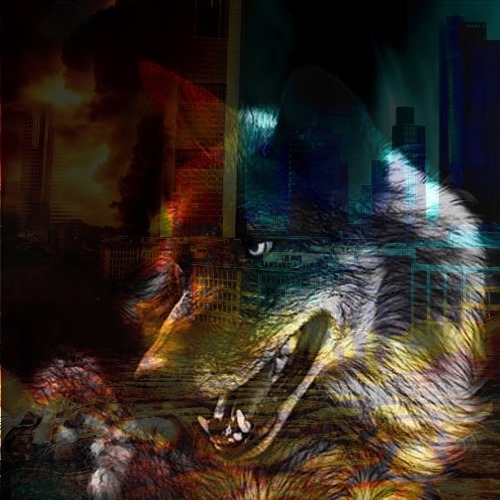 Caught in dazzling primeval shards restless Zone Wolves glimmered in sudden cloud-cleared lunar arrays, setting alight the frothy, and platinum-frost coat-overlay characteristic of the packs of radio-active N-wolves that roamed wary and shadowlike within the hostile environs of the exclusion zone. Hunting in the Land of Wolves. Yelena watched silently shielded by the haunting sentinels and alien crags, rock faces, dusted with layers of dark and radio-active regolith. The aloof glitter of distant stars abnormally bright in the clear skies. Eclipsing pools of lunar light sinking without a sound into the mystery of veiled, astrophysical musings, catching briefly, the remote, rippling beams in fluid star black eyes. 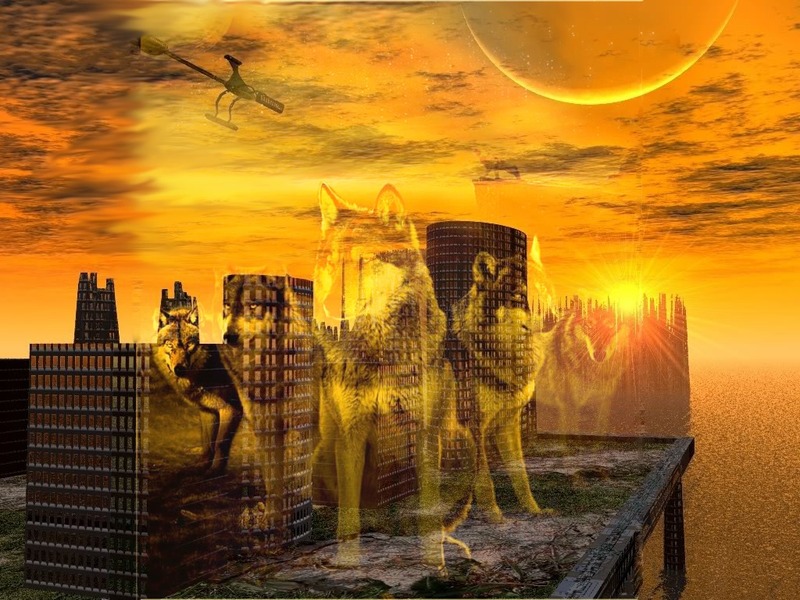 Dark shadows played across her eyes fire sparking across her fine boned muzzle in layers of dark chocolate and golden sunsets. Howling in the land of Wolves. His passage was confident… deliberate… His advance a single, measured move calculated to block any further headway -The exclusion zone Alpha Male, polished starlight glinting off his radio-active form. 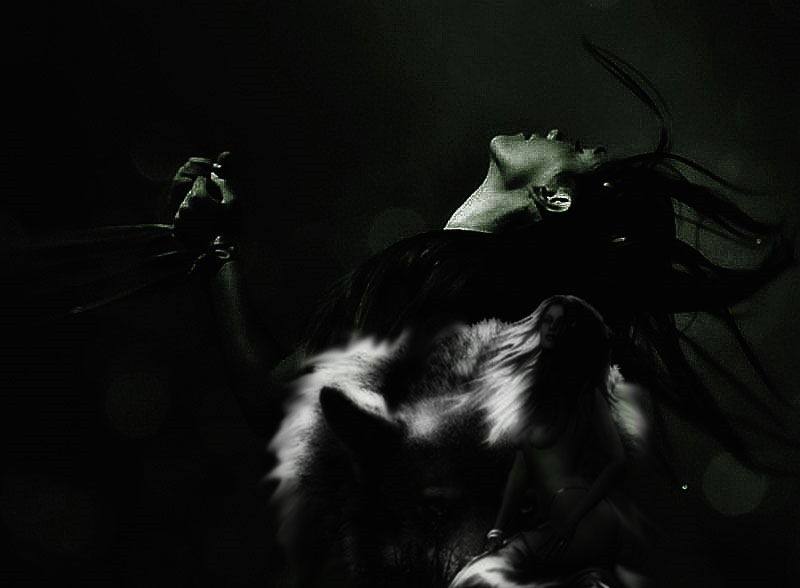 Powerful and not of her world, claiming not only leadership of the pack but demanding also mating rights to the visiting alien she-wolf. 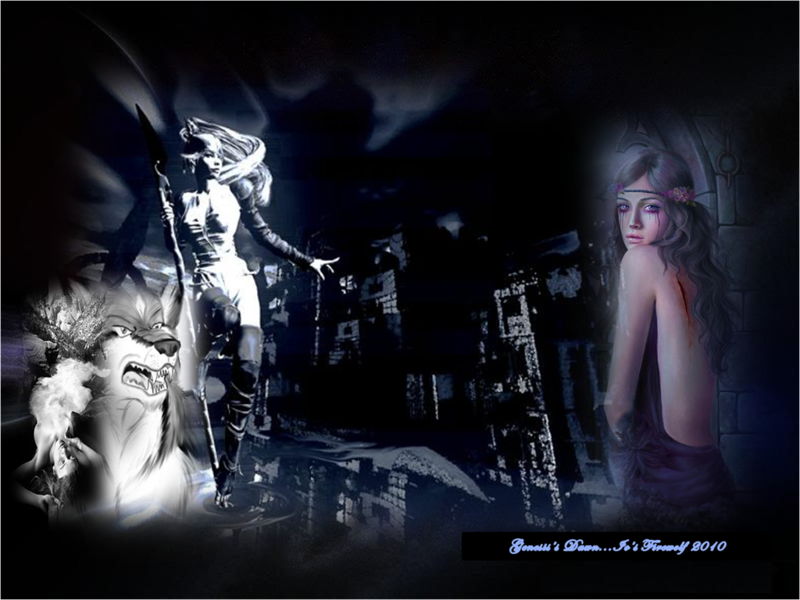 Defiant She-wolf! 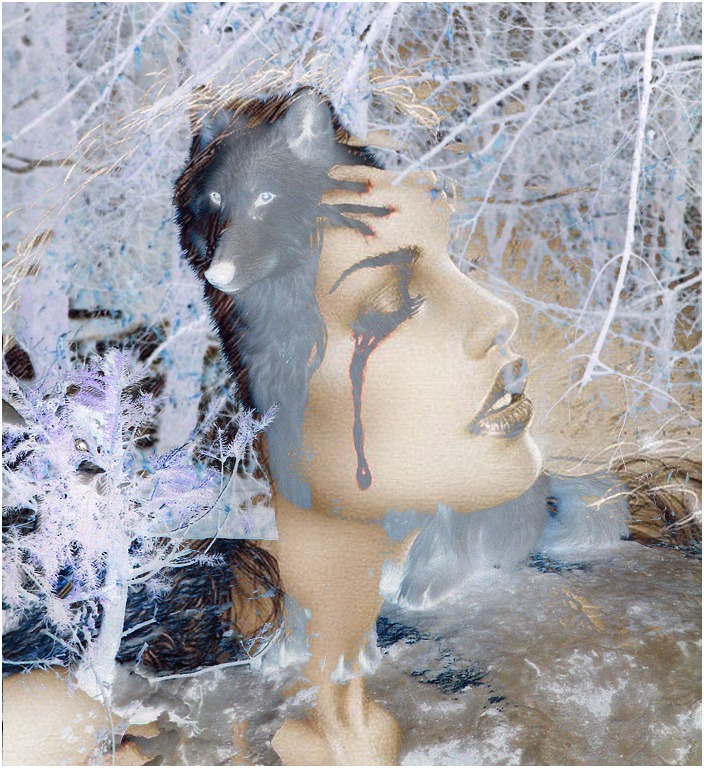 … Yelena bared glistening teeth at him both in stark momentary warning and also quick sun-flamed invitation as she sought comfort in the zone wolves Alpha under the light of another star…..
A large liquid lake has been discovered just below Europa’s icy shell may provide a habitat for life. HOW HAVE SCIENTISTS DETERMINED THE EXISTENCE OF THESE LAKES ON EUROPA? New research studies show Jupiter’s moon could have numerous large lakes just beneath its icy shell, and consequently closer to energy from the Sun, potentially providing a habitat for life. Europa is slightly smaller than Earth’s moon and orbits Jupiter every 3.5 days. It has an iron core, a rocky mantle (shell), a radius of 1,569 km and it is 670,900 km distant from Jupiter. There is a large, subsurface ocean of salty water deep beneath its frozen, ice pack crust thought to be in some areas tens of kilometers thick. Recently discovered lakes appear to be embedded closer to the surface. 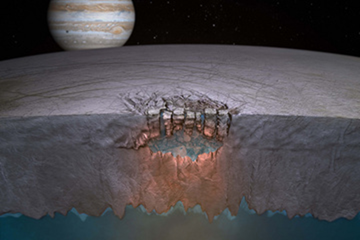 New research: A large liquid lake discovered approximately just 1.5 miles (3km) below Europa’s icy shell. Estimated to be equal in volume to all the North American Great Lakes combined. 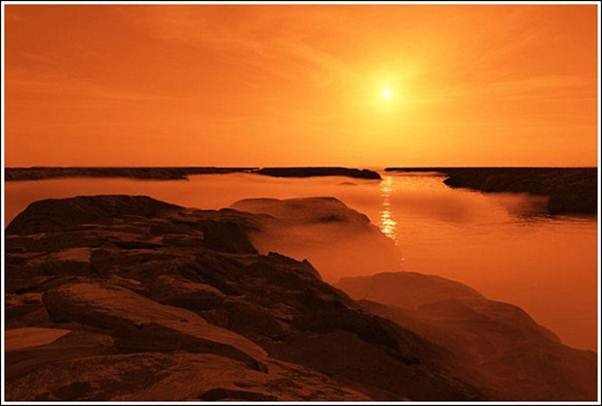 Europa could have numerous large shallow lakes just beneath its icy shell placing them closer to energy from the Sun. One such lake lies underneath Thera Macula, one of Europa’s chaos terrains. Thera Macula (false color) is a region of likely active chaos production above a large liquid water lake in the icy shell of Europa. Color indicates topographic heights relative to background terrain. Purples and reds indicate the highest terrain. Research also explains how nutrients and energy could get from the moon’s surface to its buried ocean. 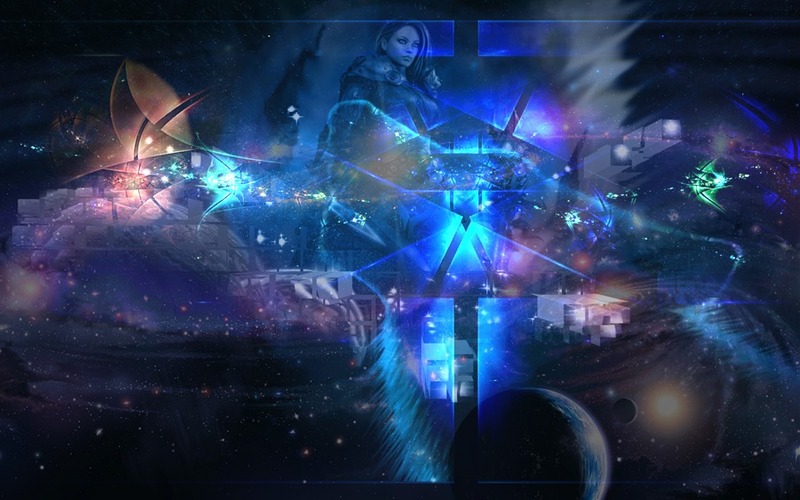 In doing so they could possibly provide a habitat for life which would be a key finding in the search for places where life might exist beyond Earth. Europa’s "Great Lake." Scientists speculate many more exist throughout the shallow regions of the moon’s icy shell. The interaction between the Europa ice pack and the subsurface bodies of water transfer nutrients and energy that may lead to life existing under the Europa surface. Life in the oceans of Europa would be similar to that which exists deep beneath the oceans on Earth where light does not penetrate. Microbial organisms may survive in this buried sea. The “lake” holds potential as a habitat for life, and there may be many more such lakes throughout the shallower regions of Europa’s shell, said lead author Britney Scmhidt, postdoctoral fellow at the Institute for Geophysics. 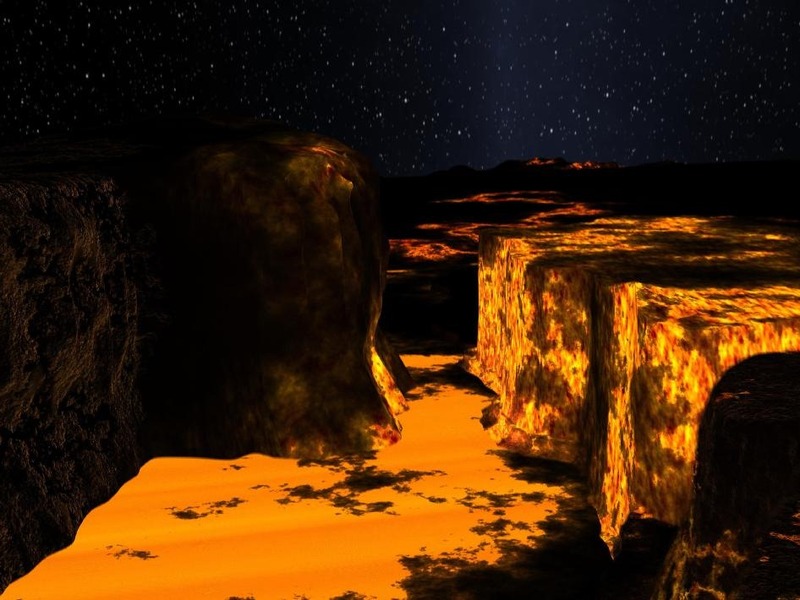 “The potential for exchange of material between the surface and subsurface is a big key for astrobiology. Europa’s subsurface harbours much of what we believe is necessary for life but chemical nutrients found at the surface are likely vital for driving biology.”~Wes Patterson, a planetary scientist at the Johns Hopkins University Applied Physics Laboratory in Laurel, Md. and a co-author of the study. “Now we see evidence that it’s a thick ice shell that can mix vigorously, and new evidence for giant shallow lakes. That could make Europa and its ocean more habitable. The material cycled into the ocean via these lakes may make Europa’s ocean even more habitable than previously imagined. The lakes may even be habitats themselves. "~Britney Schmidt, lead author. Europa’s surface is cold, around minus 170 degree Celsius (minus 100 K). The bottom of the ice is slightly warmer. Two circular bumpy features on Europa’s surface called "chaos terrains." similar to features on Earth suggest that Europa is still geologically active heated likely by tidal forces. These tidal forces provide more heat on Europa than would normally be the case for a celestial body that far away from the sun. That means plumes of warm water well up against the Europa ice cap, fracturing them, to churn the ice and subsurface water causing the "chaos" terrain features. 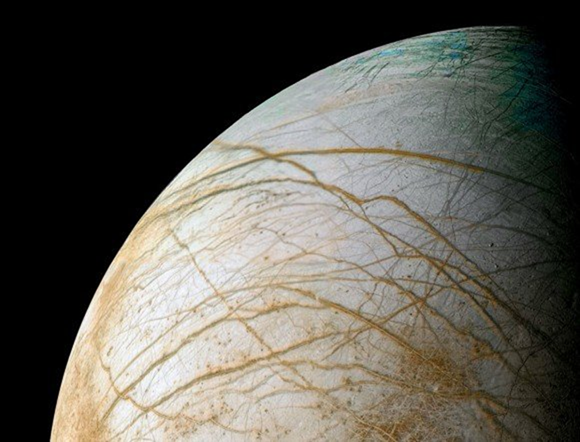 WHAT DOES THIS MEAN FOR THE POSSIBILITY OF LIFE ON EUROPA? 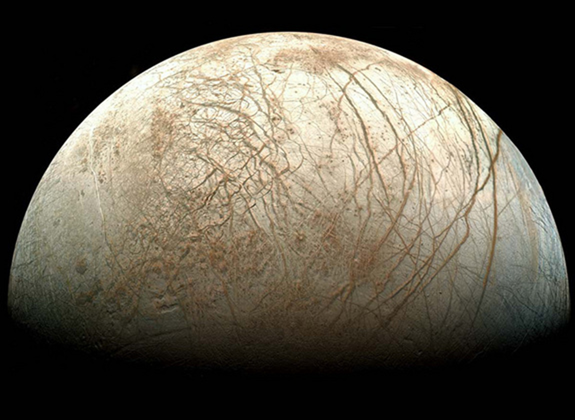 Nutrients and energy are transferred from the frozen surface to the vast ocean below resulting in the possibility that environments suitable for life could exist under the Europa surface. Life in the oceans of Europa would be similar to that which exists deep beneath the oceans on Earth where light does not penetrate. This could also mean that Europa is more likely to harbour extra-terrestrial life than Mars. "You and I might not notice the difference, but geologically it’s very different. Heat melts some of the ice into enormous lakes beneath the crust. Think of Europa as one giant ice shelf floating on a global ocean, with a really rocky core.” ~ Paul Schenk, of the Lunar and Planetary Institute in Houston. 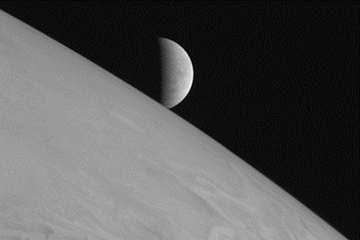 The icy moon Europa rising above Jupiter’s cloud tops. The picture was one of a handful of the Jupiter system that New Horizons took primarily for artistic, rather than scientific, value. CONFIRMATION? – the next step in confirming liquid water under Europa? Confirmation of the existence of these lakes will involve a thorough investigation of both above and below the icy surface of Europa meaning a future mission to Europa is essential. The National Research Council’s Planetary Science Decadal Survey gave such missions one of the highest priority ratings. A joint NASA/EUROPEAN SPACE STATION SPACE mission to Europa known as the EUROPA JUPITER SYSTEM MISSION is being considered. The intention being that the EUROPA ORBITER probe, which is estimated to launch in 2020 arriving in orbit off Europa in 2028 will by remote study hopefully give clues as to how the ice layers and the subsurface ocean interact. It will also study the organic exchange between them which could result in the existence of microscopic life in the subsurface ocean and lakes. The EUROPA ICEPICK MISSION would involve the drilling through of Europa’s ice pack and a unique opportunity to explore the subsurface ocean, in the hope of finding some form of life and also other valuable scientific data. 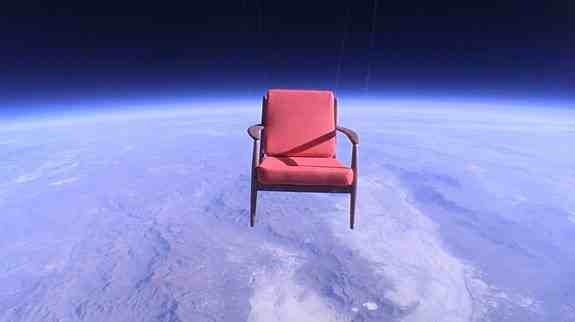 Funding for such missions to Europa is very uncertain. Most likely the Europa landers would cost anything from $800 million to $2 billion and that is only a rough estimate. This would involve input from several nations in order to obtain the necessary funding to make any one of these missions a reality. NEWLY DISCOVERED~THE GREAT LAKES OF EUROPA! 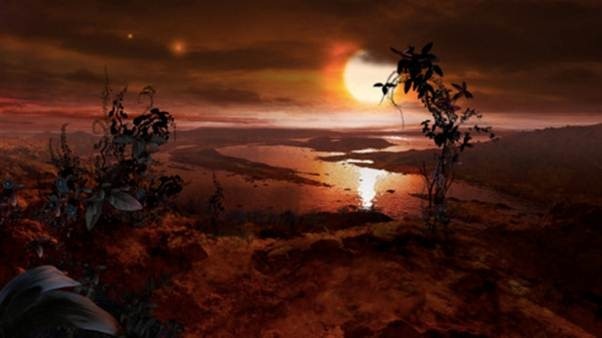 Planet Kepler-10b is a scorched blistering world, orbiting at a distance that’s more than 20 times closer to its star than Mercury is to our own Sun and takes less than one Earth day to orbit its star. 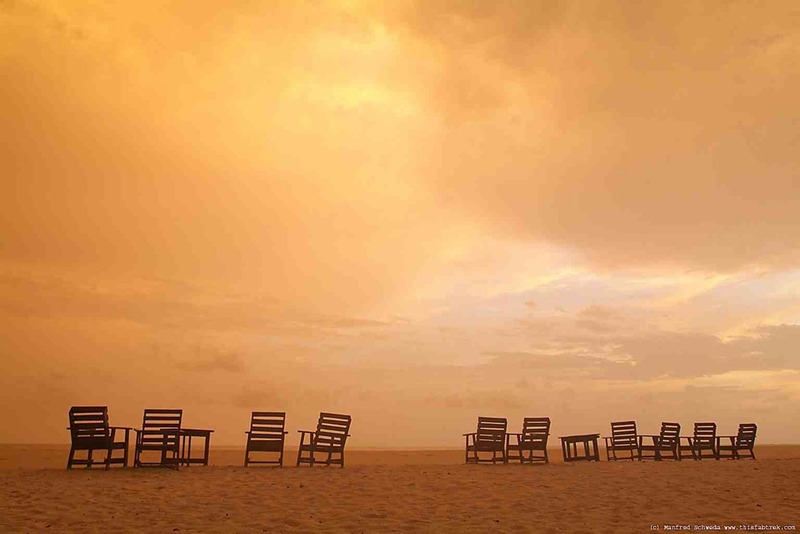 The daytime temperature’s expected to be more than 2,500 degrees Fahrenheit, hotter than lava flows here on Earth, hot enough to melt iron! 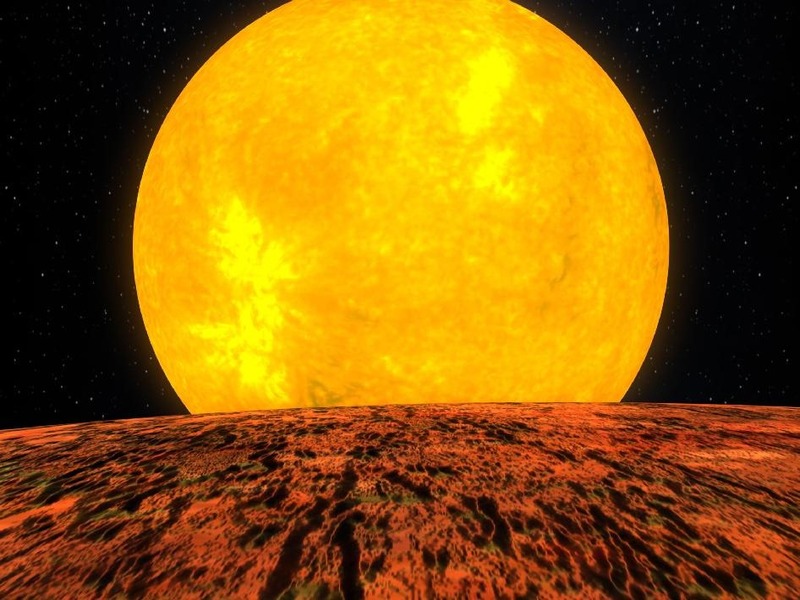 Intense radiation from the star has kept the planet from holding onto an atmosphere. 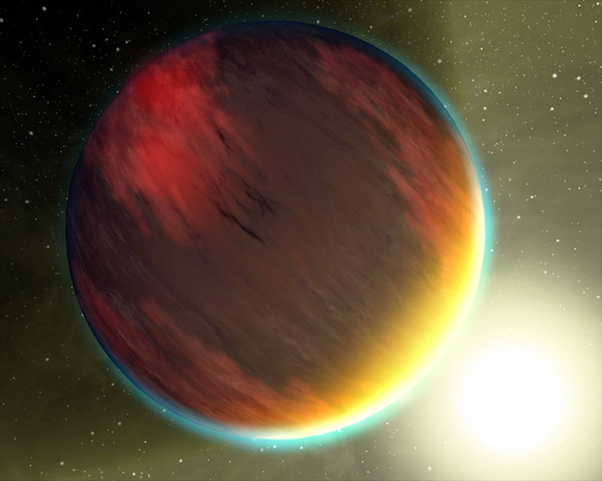 Flecks of silicates and iron may be boiled off a molten surface and swept away by the stellar radiation, much like a comet’s tail when its orbit brings it close to the Sun. The Kepler team has determined that Kepler-10b who’s discovery was announced in Jan. 2011 is a rocky planet, with a surface you could stand on, a mass 4.6 times that of Earth, and a diameter 1.4 times that of Earth and an average density of 8.8 grams per cubic centimetre – similar to that of an iron dumbbell. 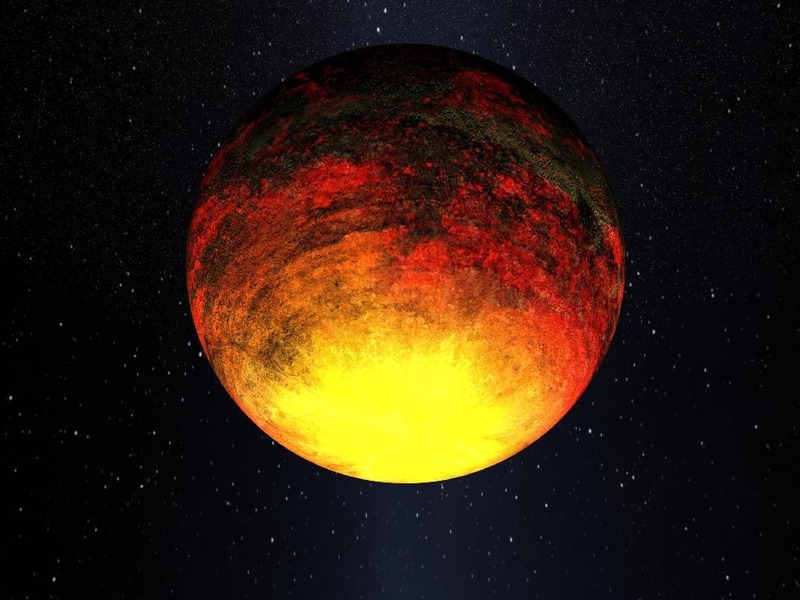 It is the smallest exoplanet – a planet located outside our solar system (dark spot against yellow sun) and the first concrete evidence of a solid rocky planet orbiting a star other than our Sun discovered to date. 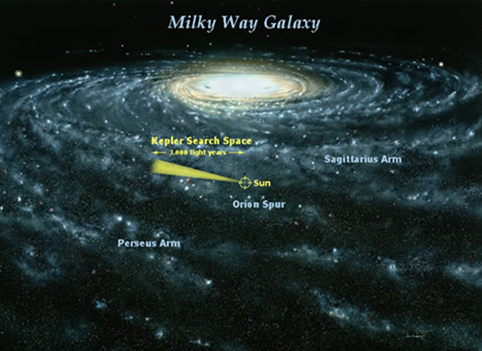 The Kepler-10 star system is located about 560 light-years from our solar system. 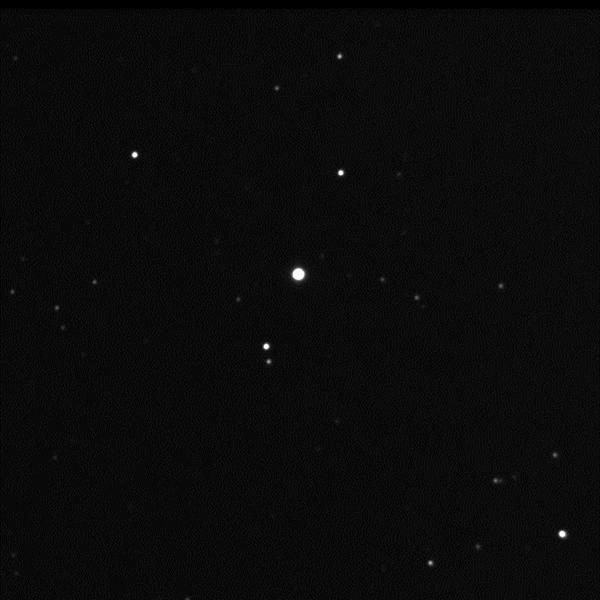 Planet Kepler-10b orbits one of the 150,000 stars that the Kelper spacecraft is monitoring with a 42 strong array of detectors aimed between the constellations of Cygnus and Lyra and just above the plane of the Milky Way Galaxy. The star itself (Kelper 9)is very similar to our own sun in temperature, mass and size, but older with an age of over 8 billion years, compared to the 4-and-1/2 billion years of our own sun. . It’s one of the brighter stars that Kepler is monitoring and is a quiet star, slowly spinning with a weak magnetic field and few of the sun spots that characterize our own sun. 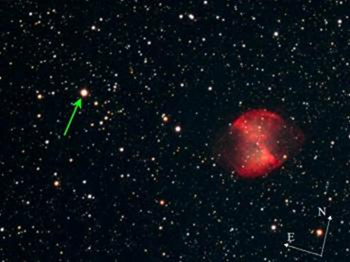 It was the first star identified as potentially harbouring a very small transiting planet. The transits of the planet were first seen in July of 2009. 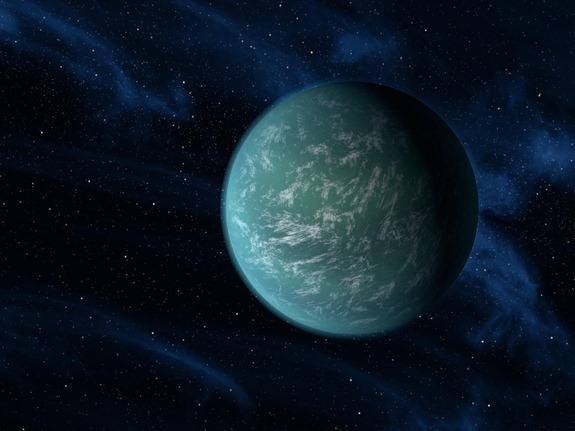 In May 2011, the Kepler team is announced another member of the Kepler-10 family, called Kepler-10c. It’s bigger than Kepler-10b with a radius of 2.2 times that of Earth’s, and it orbits the star every 45 days. Both planets would be blistering hot worlds. 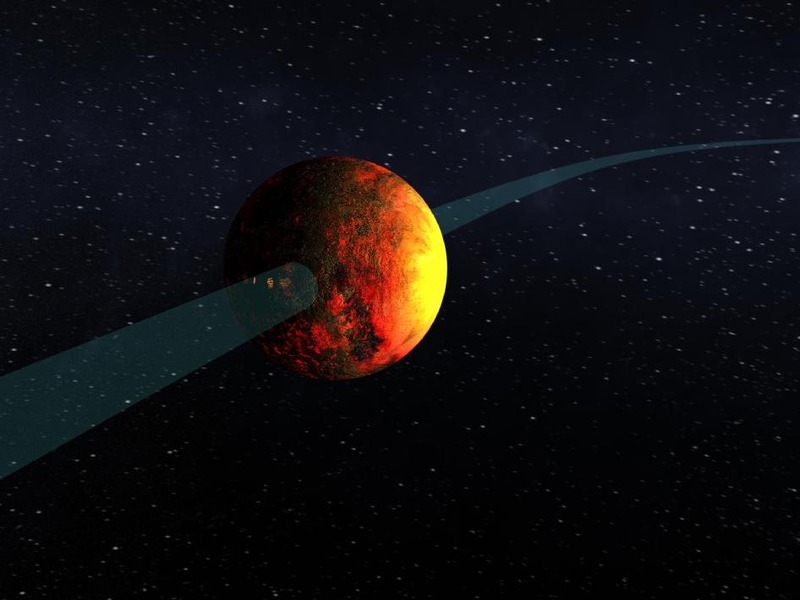 The Kepler-10 star system is the first star system found to have multiple transiting planets. 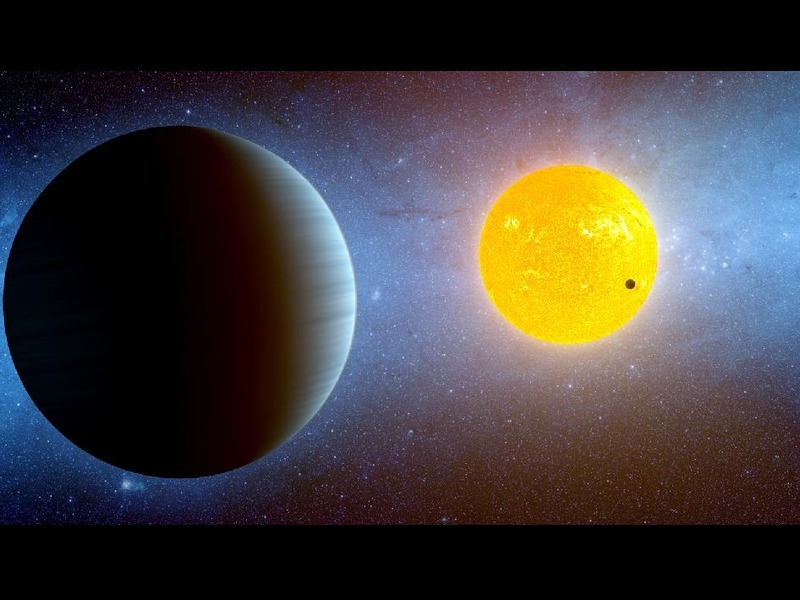 NASA’s Kepler mission has discovered a world where two suns set over the horizon instead of just one. The existence of a world with a double sunset has, until now, been “the stuff of science fiction” confined to sci-fi movies such as Star Wars. 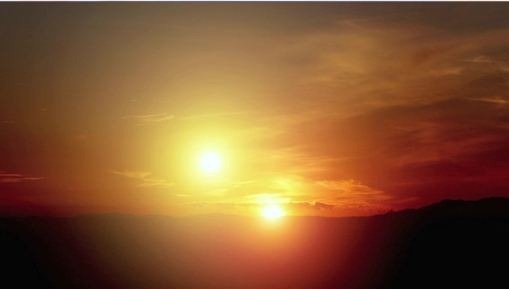 Over three decades later a world with double suns is now a scientific fact. The new planet “Kepler-16b” is located 200 light-years from Earth, and like Tatooine, the home world of Star Wars Luke Skywalker, is a circumbinary planet – a planet which orbits two stars. A cold and inhospitable world similar in size to Saturn, KELPER-16B is thought to consist of about 50 percent rock and 50 percent gas. 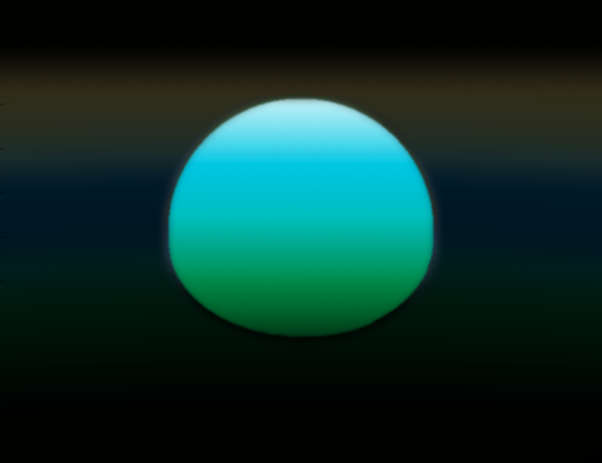 A gas giant like Jupiter in the Earth’s system rather than another terrestrial type world. Much too cold for life. The parent stars are smaller than our sun. One is 69 percent the mass of the sun and the other only 20 percent. 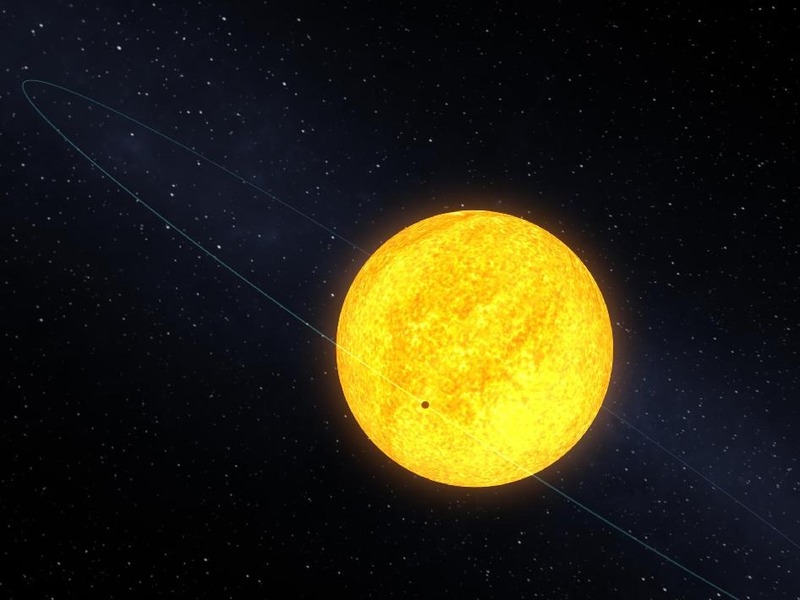 KELPER-16B orbits around both stars every 229 days, similar to Venus’ 225-day orbit, but lies outside the system’s habitable zone, where liquid water could exist on the surface, because the stars are cooler than our sun. 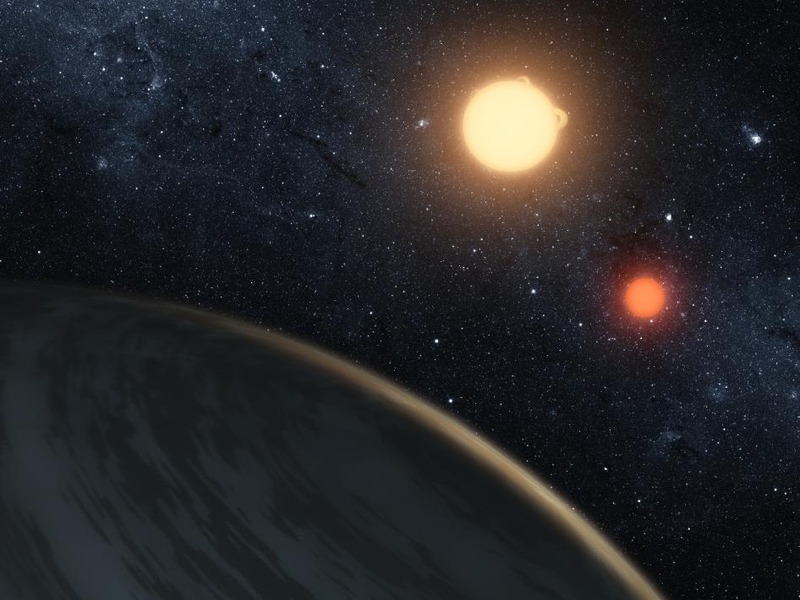 Researchers in Austin, Texas have been busy calculating the likelihood of Earth-like planets existing around twin stars. Worlds with two suns. 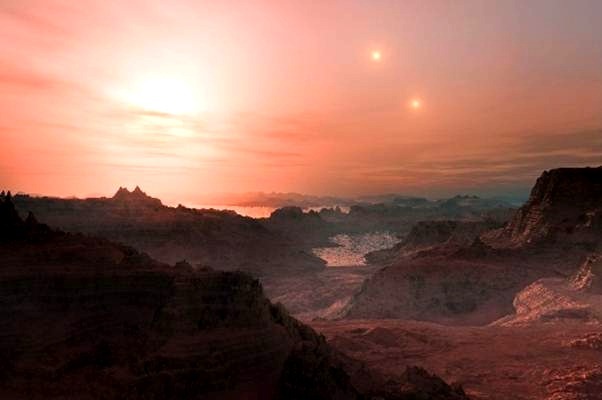 The existence of Earth-like worlds in the habitable zones around binary systems is now thought possible by astrophysicists from the University of Texas at Arlington. These regions are the right temperature to support liquid water on its surface, as in oceans and seas, and therefore life, in a form familiar to us. 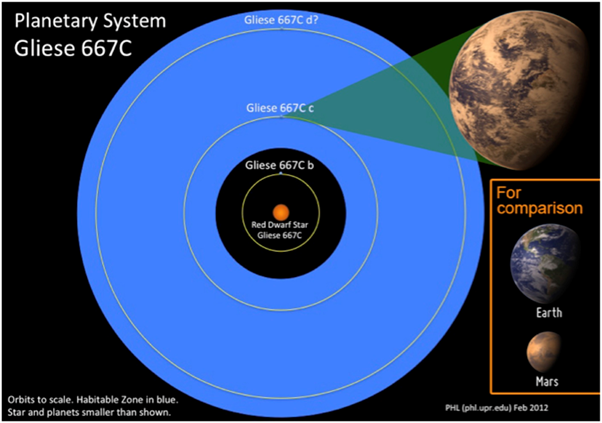 Using the Kepler-16 double sun system as a basis and beginning point it has been established that as with our own the habitable zone of this system is centered mostly on the system’s primary star and extends in a region around it equal to 0.36 to 0.71 the distance of the Earth to the sun. A roughly similar distance as that between Earth and neighboring planet Venus, out to about the distance of red planetary neighbor Mars. 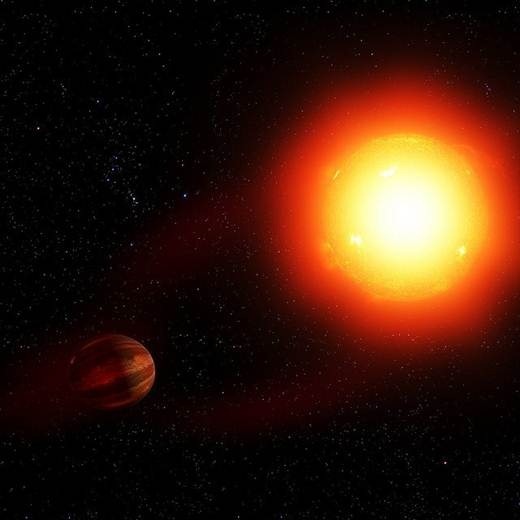 One possibility the researchers have also explored the possiblility that a planet the size of Earth could be orbiting beyond the twin star system which would put it ouside the area considered the habitable zone. An area known as the extended region. 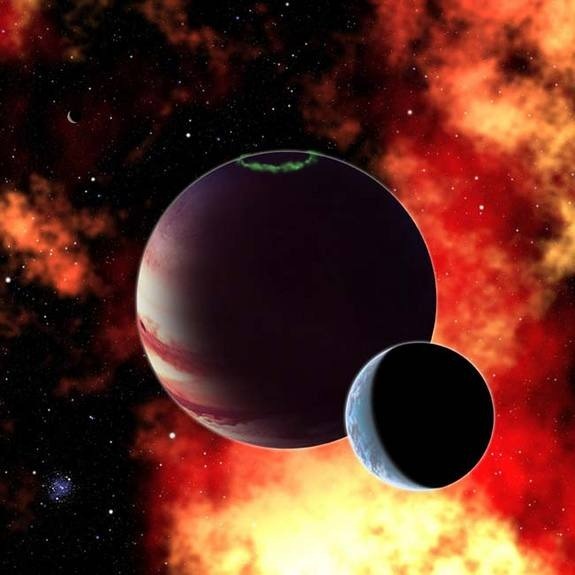 There have not been any "exomoons" found so far but the planned Space Telescope – the James Webb, will have the necessary facilities to study the atmosphere of an alien exomoon, detecting and analysing vital gases for example carbon dioxide and oxygen. And this is only the beginning!!!! !